Welcome to the Cosmic Madness 2019 Championship! This is it! Your voices have been heard and your votes have been cast. 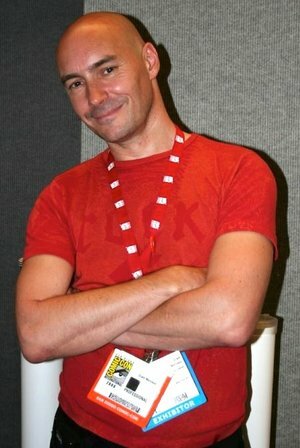 Grant Morrison beat Robert Kirkman to claim the title of Best Current Comic Writer. While Jim Lee barely edged out Fiona Staples to claim the title of Best Current Comic Artist. But it’s not over yet! This tournament is meant to crown the best comic CREATOR! Whatever reasoning you choose to vote for either Jim Lee or Grant Morrison is up to you! The tenth annual Cosmic Madness Tournament is almost over and only ONE can win! The Championship voting will go from April 6-April 8, and we will be announcing a winner of our bracket challenge on Wednesday April 10! All the info you need, including the complete bracket and info about the contest, is available at Cosmic Madness HQ! Now GET TO VOTING! Lee is a Korean American comic-book artist, writer, editor, and publisher. He is currently the Co-Publisher and Chief Creative Officer of DC Comics. He entered the industry in 1987 as an artist for Marvel Comics, illustrating titles such as Alpha Flight and The Punisher War Journal, before gaining popularity on The Uncanny X-Men. X-Men No. 1, the 1991 spin-off series premiere that Lee penciled and co-wrote with Chris Claremont. In 1992, Lee and several other artists formed their own publishing company, Image Comics, to publish their creator-owned titles, with Lee publishing titles such as WildC.A.T.s and Gen¹³ through his studio Wildstorm Productions. 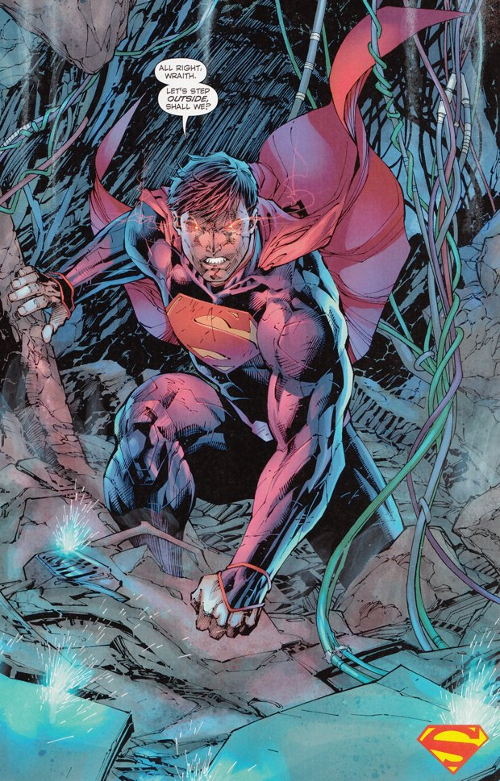 Lee has also illustrated successful titles set in DC's main fictional universe, such as the year-long "Batman: Hush" and "Superman: For Tomorrow" storylines. Morrison is a Scottish comic book writer and playwright and has been working with DC Comics for twenty five years, with acclaimed runs on Animal Man and Doom Patrol. Since then he has written such best-selling series as JLA, Batman and New X-Men, as well as such creator-owned works as The Invisibles, Klaus, Happy, WE3 and Joe The Barbarian. 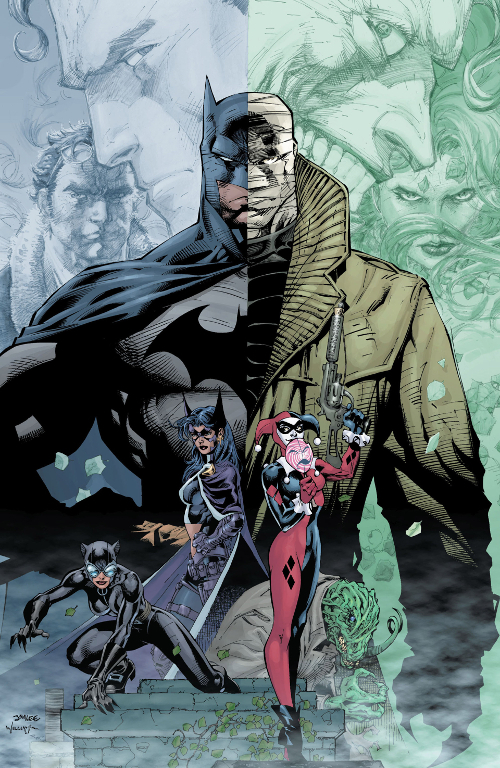 In addition to expanding the DC Universe through titles ranging from the Eisner Award-winning Seven Soldiers and All-Star Superman to the reality-shattering epic of Final Crisis, he has also reinvented the worlds of the Dark Knight Detective in Batman and Robin, Batman Incorporated, and Arkham Asylum. In a tournament full of new school writers, Grant Morrison stakes his claim as an old school heavyweight. Of course he’s written all-time great books like Doom Patrol and All Star Superman but even now he seems to be putting together an instant classic with Liam Sharp in Green Lantern. While there seem to be many writers on our list that have contributed highly to the Marvel Universe, none have had as great an impact on what Morrison has done for the DC Universe. His Crisis events have shaped the foundation of everything you read from DC today and even Scott Snyder seems to be drawing quite a bit from Morrision’s style. Check out the results for the Championship so far!